Discover how to take advantage of the astonishing profit potential of quarterly earnings without getting blindsided. It’s that time of the year again! Earnings Season...let’s create a plan. Strategy Class only with John Carter, and special guest, Ophir Gottlieb. 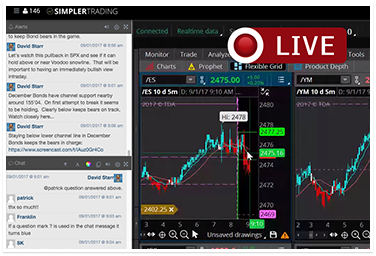 Choose the Professional Package, and you’ll not only get the Strategy Class, you’ll get the opportunity to look over John Carter’s shoulder as he identifies trades in real-time. Also included in this package is the Earnings Analysis Tool that John uses on the ThinkorSwim platform. 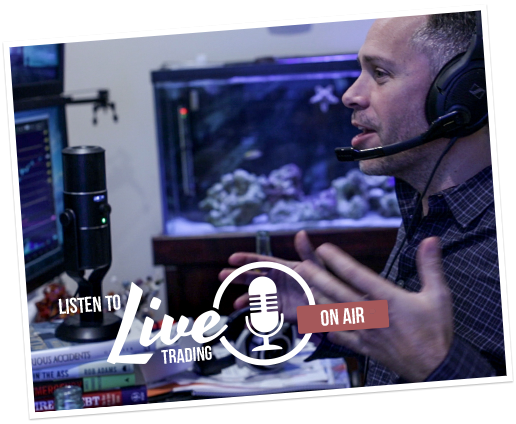 The goal for the 5 live-trade sessions is to apply what you learned in the Strategy Class. You also have the potential to make enough profit on one contract basis to pay for the whole class. Full session recordings included. 5-Hour Strategy Class on October 21st from 12:00pm to 5:00pm CT. 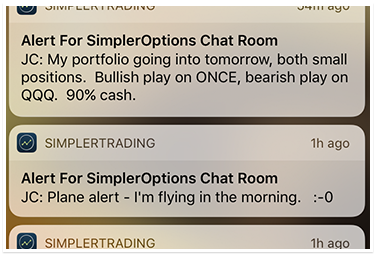 Receive Trade Alerts via SMS to keep tabs on stay up to date even if you can't be in the live trading. The Elite Package is a full-scale learning platform. You get the Strategy Class, everything in the Professional Package, plus a 6-month Options Gold Membership. That gives you access to the Live Trading Chat room, Trade Alerts, Premium Daily Options Newsletter, Options Trading Forum, and Access to the Trading Room Archives. 5-Hour Strategy Class on October 21st from 12 p.m. to 5 p.m. Central. The live trading room is the best opportunity to watch the traders in action. 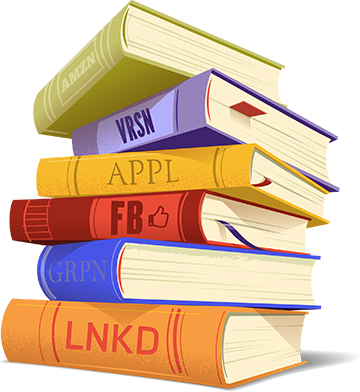 Interact with our community about the subject we all love – trading. Get real-time updates right to your mobile device. These alerts contain hand-selected trades placed in the live trading chat room by our traders. 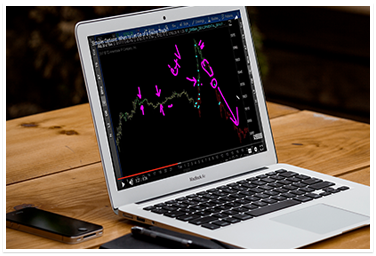 5 nights a week you’ll get a video focused on analyzing the most actively traded stocks & ETFs for options trades to help you prepare for the next trading day.